Back cover blurb: The truth was dead and buried…until now. When a collection of human bones is unearthed during a routine archaeological dig, a Black Country field suddenly becomes a complex crime scene for Detective Kim Stone. As the bones are sorted, it becomes clear that the grave contains more than one victim. The bodies hint at unimaginable horror, bearing the markings of bullet holes and animal traps. 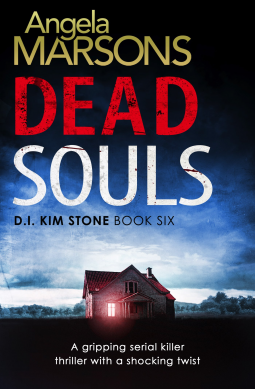 Forced to work alongside Detective Travis, with whom she shares a troubled past, Kim begins to uncover a dark secretive relationship between the families who own the land in which the bodies were found. But while Kim is immersed in one of the most complicated investigations she’s ever led, her team are caught up in a spate of sickening hate crimes. Kim is close to revealing the truth behind the murders, yet soon finds one of her own is in jeopardy - and the clock is ticking. Can she solve the case and save them from grave danger – before it’s too late? An addictive, sinister crime thriller that will have readers on the edge of their seat. Angela Marsons has written another fantastic DI Stone novel, and this time get to see Stacey in a bit more detail as well as Stone's relationship with an officer from a rival force. Having fallen out years previously every crime scene encounter that they've had recently has been fractious to say the least. So when the pair are forced to work together on a case neither of them is particularly thrilled. The case in question is that of human remains found my student forensic scientists on a tutorial dig. Who do the remains belong to? Why are they buried where they are? And more importantly were these murder victims? Stone's team meanwhile are investigating a number of hate crimes that seem to be increasing in frequency and severity. Stacy picks up the suicide of a young boy alongside convinced that there is more to it than meets the eye. Could all three investigations be linked? If so can the team pull together all the pieces of the puzzle together before another victim is targeted? Dead Souls is available now via Amazon online and all good book shops.